Do you want to make a difference? Can you see yourself in a medical career that allows you be part of a profession that continually grows and is always in demand? Our top notch, board approved Practical Nursing program is your answer! The length of this course is about 12 months for the full-time program, with a total cost of $6,887. 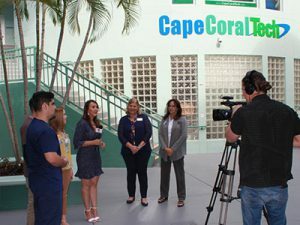 Cape Coral Technical College’s Practical Nursing program has been ranked as one of the top 30 LPN programs in the state of Florida, ranking at an impressive #3! 82 Statewide LPN programs were assessed on several factors which represent how well a program supports students towards licensure and beyond. Congratulations to the entire LPN team at CCTC on this wonderful accomplishment! Begin your new career in just 12 months, from start to finish with lower tuition costs than most schools, which means less money out of pocket! Practical Nursing graduates are eligible to apply to take the National Licensing Exam AND may be eligible for advanced credit in the Nursing Associate Degree program at Florida Southwestern College or any Florida community college. Our small classes are designed to provide you with excellent hands-on training, personal instruction. As a student, you’ll work directly with patients, physicians, and nurses in hospitals and other healthcare facilities and experience a variety of interactive simulation case scenarios. Our instructors, Licensed Registered Nurses, will personally guide you in becoming a competent and compassionate nurse. They’ll prepare you for the National Nursing certification exam and offer you job placement assistant. Bright Futures Scholarships are accepted, and financial aid is available. Start Date: February 13, 2019. All admission requirements due December 14, 2018. Classroom hours: 8:00 am – 2:30 pm Monday – Friday. Clinical Time: Varies. Nursing Foundations, Geriatric Nursing, Body Structure, Function/Nutrition, Administration of Medications, Bio-Psycho – Social Nursing, Medical-Surgical Nursing and Clinical Practicum. Medical-Surgical Nursing, Maternity Nursing, Pediatric Nursing, Transitional Nursing, Employability, and Clinical Practicum. Prospective students must be 18 years old upon entrance unless a special wavier is granted by the Program Director. Additional program requirements for this program are listed below. Schedule to take the TEAS (Test of Essentials Academic Skills). Complete essay following the TEAS exam. Complete the PN application packet and return it to the campus you plan on attending. Include documentation of health-related work or health-related volunteer work on official letterhead (if applicable) and post-secondary health-related education in the form of an official transcript, with the application. Admission is based on a point system, check the Criteria Selection Matrix for further explanation of the point system. Once accepted student will need to complete a physical & immunizations, drug screen and background check. Use of a computer with internet access is required. 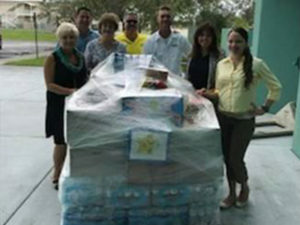 Our PN Program is approved by the Florida Board of Nursing. Students also earn 10 credit hours, or more, toward an Associate Degree in Registered Nursing at any Florida Community College.